Life through my eyes...: Youth Ministry curriculum! I'm way excited about this!!! Can't wait to see this unfold! Horrible pic taken by Inez the iPhone! 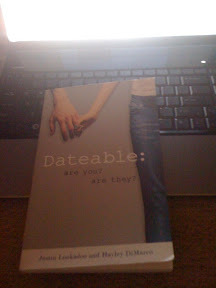 I loved dateable and marriable. These books are excellent! Do I need 'that' virtue? A Doozie of a Day turned GREAT!